Round Table India was first an International organisation founded by Louis Marchesi, a young member of Norwich Rotary Club who felt a need existed for a club where the young business men of the town could gather, on a regular basis where they could exchange ideas, learn from the experiences of their colleagues and play a collective part in the civic life of Norwich. Round Table proved it had international appeal with the first overseas Table formed in Copenhagen in 1936. Today there are about 900 Tables with a membership of around 10,000. John Barton was instrumental in setting up the 1st Round Table in India. The concept of National Project for Round Table India was introduced in 1992. Currently, in Round Table India, there are more than 200 Tables located in 76 cities and towns, comprising of businessmen, entrepreneurs, technocrats and professionals. Round Table India is divided into 11 Areas, which have their own Area Board to administer them. 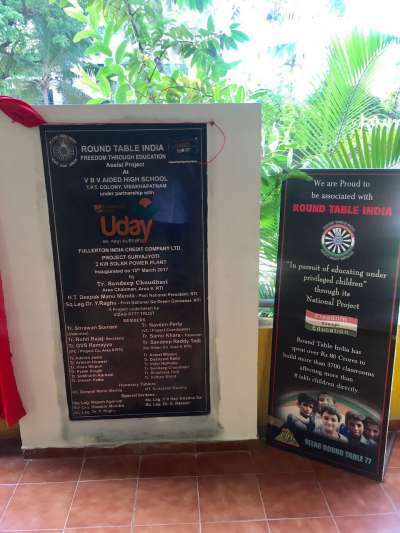 Round Table India a young men organization under its permanent project Freedom Thru Education has built 5108 classrooms in 1811 schools with a Total Outlay of 152.54 crores which had an impact on 5.62 million children. In 1998, Round Table India launched “FREEDOM THROUGH EDUCATION” to provide basic infrastructure for primary education in rural India, reaching out to about one million children over a period of 10 years. Its chapter, Vizag Round Table 77, built 9 schools in the Visakhapatnam district. 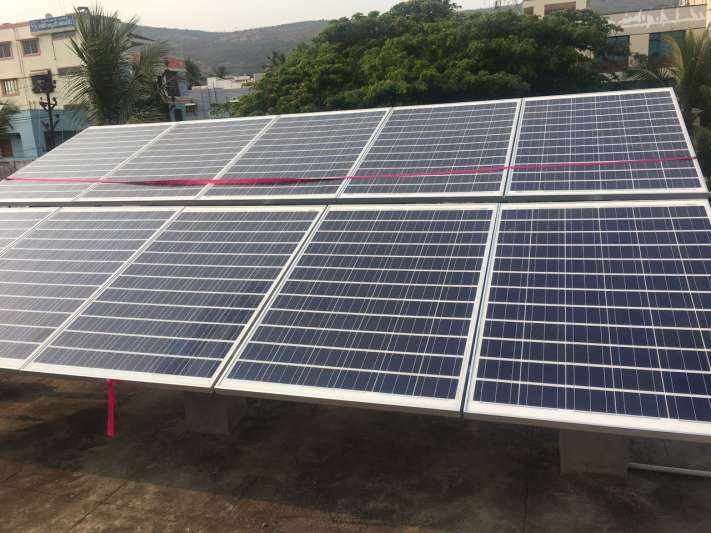 Taking this forward, in a tie up with the CSR of Fullerton India Credit Company, it has installed a 2 KW Solar Power in the VBV Aided High School, TPT Colony Visakhapatnam. 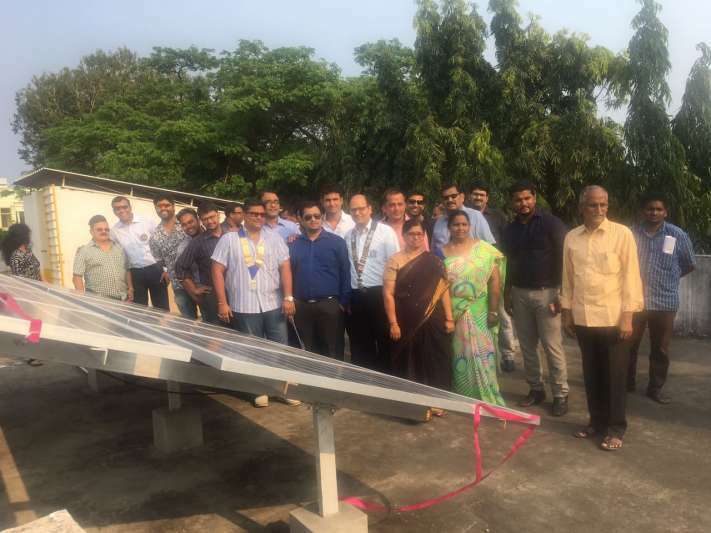 This has been inaugurated by Tr Sandeep Choudhari, Chairman Area 9 and Tr Shrawan Somani, Chairman Vizag Round Table 77.